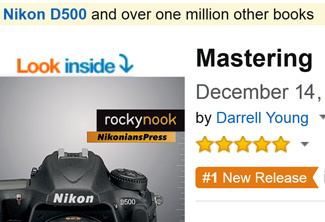 Congratulations to Nikonians author Darrell Young for debuting his latest NikoniansPress/Rocky Nook book at the number one position in Amazon's Digital Photography New Releases category. 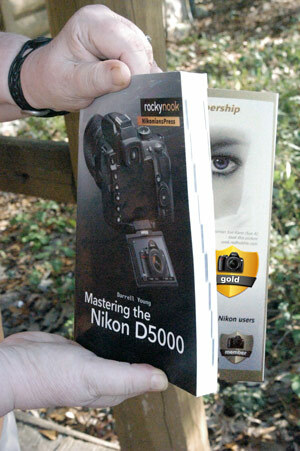 Mastering the Nikon D500, is now in stock at Amazon.com in both printed form and Kindle (and in printed and eBook bundle on RockyNook.com). If you go for the Rocky Nook bundle, don't forget to use the coupon code YOUNG2016 at checkout for 35% off the price. If you have a Nikon D500 or plan to acquire one, please consider Darrell Young's Mastering the Nikon D500. "I put a huge amount of effort into experimenting with all aspects of the Nikon D500 and there are details in my book that you won't find elsewhere. It has 656 pages of deep information--in a very understandable form--that will help you learn every aspect of using your Nikon D500. I am amazed at the new features Nikon has added to this camera. It is setting standards for connectivity and functionality. I have never seen a Nikon DSLR this complex! It took extra time to write the book due to the numerous extra features. Many photographers who have used Nikon DSLRs previously may not fully realize how much depth Nikon has added to this camera. Even if you've had the D500 for several months, I think you will be surprised at the many new things you will find as you read the book with your camera in hand. Additionally, Mastering the Nikon D500 includes a 50% off Coupon for a Nikonians Gold Membership. The author Cyrill Harnischmacher's book "The Complete Guide to Macro and Close-Up Photography" has been reviewed. We are working on getting the best images together for the upcoming NikoniansPress Rocky Nook book "Mastering your Nikon D500" by Digital Darrell. If you have an excellent D500 shot, this is a good chance to get more visibility still. The long-awaited NikoniansPress book, Mastering the Nikon D750, is now in stock at Amazon.com in the USA, and will be available soon in the UK and Europe. The book examines the Nikon D750 in an easy-to-understand way, providing knowledge based on real-life use of the camera. Unlike many books that focus on general photography with a certain type of camera, the NikoniansPress books focus on how to use each camera function - with suggested settings - so that the reader becomes intimately familiar with the inner workings of the D750 and can call on that knowledge for different styles of photography. "The Nikon D750 is truly a special camera. It has most of the features found in the pro-level Nikon D810 and F4S, in a much lighter, easier to carry body. The tilting screen, high resolution 24MP full-frame (FX) sensor, and superior autofocus system make the camera easy to use and quite satisfying. For enthusiasts and pros alike, the D750 is an excellent choice for outstanding still photography and video." 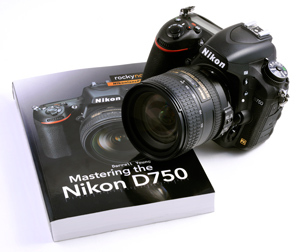 Mastering the Nikon D750 is available in both printed and Kindle formats at this link. 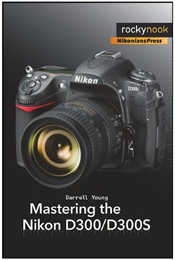 Mastering the Nikon D750 by Nikonians author Darrell Young (DigitalDarrell) is now available in eBook form. It will be available in printed form in a couple of weeks. ?The Nikon D750 is basically a miniature D810. The operating system within the D750 has nearly every function and feature found in the D810, plus a number of functions not available in the more expensive camera. It has the perfect balance of still image size and quality, camera body affordability and robust build, along with 1080p video second to none. Your new D750 is a powerful HD-SLR camera that you can use for years to come. For enthusiast and pro use, the camera delivers. Thank you in advance to those who order the eBook or printed versions. I hope you enjoy the book and that it opens up your camera's features even more fully to you." Following are links to acquire the books, immediately for the eBook version, or as a preorder for the printed version. The ebook versions are available now in a bundle (PDF, ePub, and Mobi), with all three formats included in one price is available at 40% off the normal price, for Nikonians, by using the coupon code "YOUNGD750" at checkout. This is the link to the ebook version bundle. The printed book will be available at Amazon in a couple of weeks. It is being printed now. This is the link for placing a preorder for the printed version or to acquire the Kindle version (which should be available within a few days). 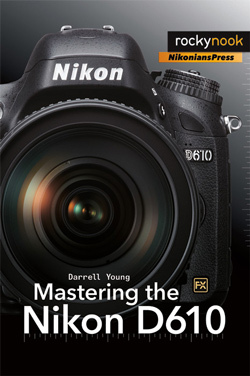 Mastering the Nikon D610 by Darrell Young (DigitalDarrell) is now available for preorder. Darrell has already invited members to submit images taken with the new camera to be included in the book and the first set of images have started to trickle in. Mastering the Nikon D610 is written to help you learn all the details of the camera’s relatively complex yet flexible menu structure, external controls, and best configurations for various styles of photography. Digital Darrell’s books are well known for making highly technical camera setup easy to understand and accomplish. His writing style is like a friend dropping by to help you with your new camera. Mastering the Nikon D610 has a release date of February 14, 2014. Coming on the heels of its predecessor (Nikon D600) the Nikon D610 has a new shutter assembly with 6 fps speed, better white balance, and a new Qc (quiet continuous 3 fps) release mode. If you’ve been wanting to move up to FX and have the lenses to support it, the Nikon D610 is a natural step up from the DX world for those who desire full-frame image quality. And, image quality is one of the strong points of the D610, with a sensor that bests the Nikon D3X, Nikon’s most expensive camera. It has a magnesium-alloy and polycarbonate build that is both strong and light, making it the perfect carry camera for those who enthusiastically enjoy DSLRs. 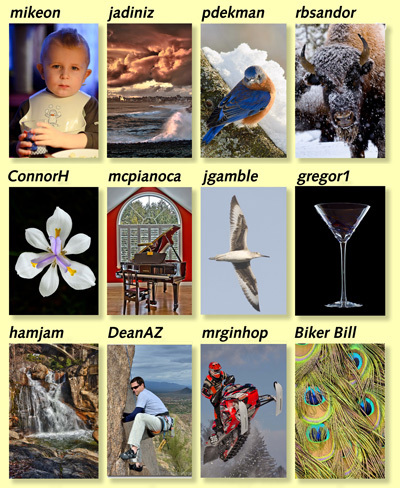 Congratulations to the Nikonians community members who will soon have their images featured in a new photography book. Mastering the Nikon D7100 by DarrellYoung (DigitalDarrell) will be released next month for worldwide sales. The images headed for the press are shown here, with numbers helping identify the chapter and submitting member listed below. I took this photo through the observation glass at the Columbus Zoo in Columbus, Ohio. This is one of the four female cubs born at the zoo and she is about 10 weeks old. I would have liked to have gotten lower to have a more head-on look, but there were many children in front of me. It was a partly cloudy day and the cub was practicing her stalking moves, when the sun suddenly popped out and I captured the moment. She immediately ran back to her siblings. I took this image of the Smithsonian Institute on a whim. I was leaving DC for the day when I looked up and saw some great cloud coverage that I thought would be a great backdrop for a shot. I walked to the corner of the Institute building and found a good composition. I had no tripod so I had to shoot handheld. The light was good, but I wanted a slight grain in the image, so I set the camera to ISO 400 and the aperture to f/10 for good depth of field. The kit lens, with its VR, performed surprisingly well. The White Throated Monkey is famous for stealing anything available. This one was following my every move, intrigued by the fruit I purchased from local vendors. I didn’t want to miss the opportunity to capture his vigilant posture, trying to outsmart me. This picture was taken at high ISO since it was very early in the morning. One of America's most scenically rich spots is Bryce Canyon National Park in Utah. I captured this image on a freezing cold April morning shortly after sunrise as the sun's rays illuminated and reflected off some of the hundreds of delicately eroded spires in the park as viewed from the rim of the canyon, making it look like the canyon was glowing from within. I loved the way the D7100 captured the color and exquisite detail so perfectly. This eagle was perched above Nequasset Stream along the coast of Maine, watching intently for alewives swimming upstream before entering a fish ladder. The fish ladder in the town of Woolwich allows migrating alewives to reach Nequasset Pond to spawn in the spring. I wanted to capture the eagle's intensity as it hunted for a fish. I enjoy taking photos late at night until maybe 4:00 am. Minneapolis was quiet and peaceful when I hopped on my motorcycle with my camera bag. The bridge, which spans the Mississippi river, offers a view of Minneapolis from the North. When I approached the bridge I thought the blue was stunning, especially when I could contrast it with the river running underneath, much like a jeweler’s box can amplify the beauty of a piece of jewelry. I took this picture in the Serpentine Wildlife Area, better known as the Serpentine Fen. This frog spotted me as I walked toward its watery neighborhood and disappeared into the marsh. I had my camera ready, anticipating where the frog would break the surface. It appeared directly in front of me, clearly wanting get a closer look at the human intruder (me). Dedicated to my dear bride and best friend, the late Clarissa Faye Feiertag. This image was shot at our family Memorial Weekend cookout. She was on the patio with her father and sticking pretty close to him, while playing shy. Charli Jo is a very animated child with lots of personality and loves the camera. This image of the Red Squirrel was taken at my cabin in Northern Wisconsin after owning the D7100 for only about three weeks. We had such a long demanding winter and stubborn snow cover that I was very surprised to see this little squirrel eating something green, thereby prompting me to title this image Spring Snack. This was taken one morning while out looking for migrating warblers. I had heard him on several mornings, but it wasn't until the third morning out that I finally located him. The male bird had made such a nice nest hole but didn't have a female to share it with and was constantly calling for a mate. The leaves covered up the only view of the hole a few days after this shot. I used manual exposure with the 1.3x digital crop mode. This camera is a delight to use. I took this picture in April. I often drive many miles to special places to take pictures, only to find some of my favorites are taken close to home. This picture came from my brother and sister-in-law's amazing flower garden. I love how this camera captures the sumptuous colors. After a very successful trip in December 2012, during which we photographed over three dozen species of birds, my wife and I went back to Costa Rica in June 2013. This time we went to the remote Osa Peninsula, looking for something a bit more off the beaten track. While shooting, we spotted this juvenile yellow-headed caracara, a raptor in the falcon family. Typically not a fast aerial hunter, this caracara was sitting on the fencepost of a ranch, hoping to scavenge some food from a nearby cow pen. I took this picture as the assistant photographer at the wedding of Hannah Young and Ian Burr. Hannah is the daughter of this book’s author and fellow Nikonian, Darrell Young (DigitalDarrell). This was the first wedding in which I’ve been an official photographer and the first commercial shoot with my new Nikon D7100. Not having an AA filter makes this HD-SLR one of the sharpest I’ve ever used. I love the camera and will use it in my family portrait business. The rear cover bird image is courtesy of Al Scherwinski (cockers). Mastering the Nikon D7100 will be released in both printed and ebook formats. The camera is proving to be simply spectacular in its capability, and Darrell hopes the book will help many Nikonians have a better grasp on their complex imaging tool. The book covers the camera in complete detail, with full-color graphics, sample images, and illustrations. What makes NikoniansPress books unique is that they are presented from the viewpoint of a fellow Nikonian with many years of experience using Nikon cameras. Darrell offers detailed suggestions on camera configuration—based on real world experience and various imaging styles. Previous NikoniansPress books in the Mastering the Nikon DSLR series have been quite successful, primarily due to your interest and support. The Nikon D7100 book is now available for preorder. Nikonians author Darrell Young (DigitalDarrell), reports his newest book, Mastering the Nikon D600 is on schedule for release next month. The final step in the process was selecting Nikon D600 photos submitted by Nikonians members to be used as full page Chapter Opening Images. "Thank each of you very much for making a submission. I wish the book had more chapters so that we could add a lot more images. However, it only has 13 chapters (about 560 pages). All of your submissions were excellent and appealing." Below are thumbnail versions of the 13 Chapter Opening Images to be used in the book. The yellow numbers do not appear in the final version. They are a guide for the credits listing below the images (and also indicate which chapters they help illustrate). You may notice one member takes the distinction of leading the first and last chapter, and two members submitted shots taken by their wives. Counting those two ladies and the submission from Jackie Donaldson, we have three images credited to women, ten by men. 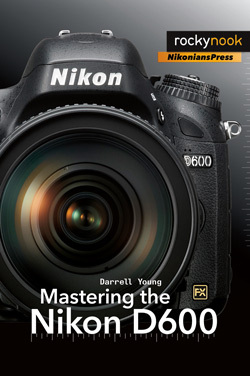 Mastering the Nikon D600 by Darrell Young will be available in March 2013 in printed form and the eBook formats will follow about two weeks later. The current pre-order price at Amazon is $21.07 (USD) saving you $18.88 off the list price ($39.95). "My new book will make your zoom lens longer, your wide angle wider, your macro even closer up, and your megapixels multiply." 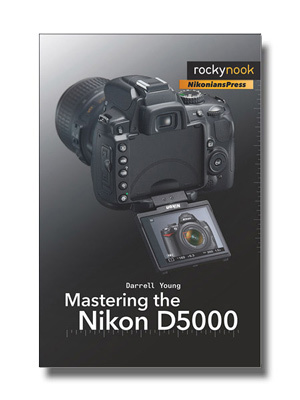 Darrell's previous books produced through Rocky Nook’s partnership with NikoniansPress include Mastering the Nikon D800, Mastering the Nikon D7000, Mastering the Nikon D300/D300S, Mastering the D700 (co-authored by James Johnson), Mastering the Nikon D90, Mastering the Nikon D5000, and Mastering the Nikon D3000. Now photographers and Nikonians members can enjoy the electronic magazine THE NIKONIAN on their Apple iPads. You can find the app in the iTunes store. The app makes it possible to browse and download all issues of the ezine available since 2003. Just in time for summer reading, Mastering the Nikon D7000 by Darrell Young is printed and now on its way to book retailers. Advance copies have already been received by the author and members of the publication team. Profusely illustrated with step-by-step setting adjustments, easy to follow menus screens, and detailed explanations for the proper use of every button, dial, switch, and menu option, this latest book by Darrell Young in the NikoniansPress/Rocky Nook series is (in a simple word) huge. The author has already explained his enthusiasm for the Nikon D7000 in a recent News Blog. He likes to describe the camera to his friends as "a great value for its robust capability—yet medium price." 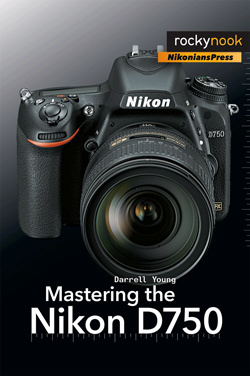 Mastering the Nikon D7000 has 496 pages, including table of contents and index. 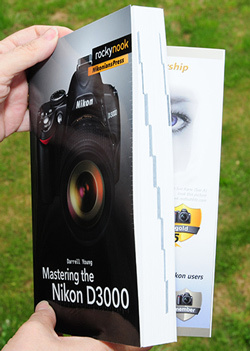 That's nearly 100 more pages than Darrell's previous best seller, Mastering the Nikon D300/D300S. "A book only has finite space before it becomes too big and bulky to be used in a portable way. Subsequently, in addition to the printed book there are free additional downloadable sections available to readers, at a private website address. Most users of the D7000 will have at least some experience with other DSLRs. However, some new users have little experience with DSLR cameras and are unsure about how to change a lens, format a memory card, and charge the battery. I added special material for these new users in downloadable documents, so as not to make the book bigger than it needed to be for more advanced users. In addition there is downloadable material on basic photography, such as understanding the aperture, shutter speed, and principles like depth of field. All said, in addition to the book’s 496 pages, there are nearly 100 more pages available by download." If you prefer reading in the new digital reading, O’Reilly Media has already released the eBook versions of the book and soon the Kindle version will be available on Amazon.com. The print version will be in mass distribution by mid-month. If you have been thinking about preordering the book, now’s the time. This is an excellent time to take advantage of the preorders. Amazon currently has a preorder rate of $20.31 USD (saving you $14.64) and all books in the NikoniansPress/Rocky Nook series include a special Nikonians 50%-off voucher discount for a one year Gold Membership in the Nikonians community. This will save $37.50 on Gold Membership. That's an impressive combined total of $52.14 savings on a book selling for less than $21 at the (limited time available) preorder rate. Looking for more by the author? 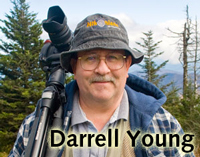 Darrell Young (DigitalDarrell) has also been published in the following NikoniansPress/Rocky Nook series of books: Mastering the Nikon D5000, Mastering the Nikon D90, Mastering the Nikon D300, Mastering the D700, (co-authored by James Johnson) and Mastering the Nikon D3000. A hearty thanks to our members who responded to the NikoniansPress publishing team request for images taken with the Nikon D7000. Mastering the Nikon D7000, by Darrell Young. The images will be used to serve as chapter separating samples of the photos that can be taken with the camera. Darrell (better known in the community as Digital Darrell) wanted to share the spotlight in all his books, thus starting a tradition of using images by our members as much as possible. "I want Nikonians.org and all of us, as parts of a community, to receive recognition for our work as unique community. What other Nikon community has its own ProPhotoShop, podcasts, seminars, field trips, magazine, books, forums, and other resources? Nikonians.org is a unique educational center in the Nikon world. I'm proud to be doing my part to support Nikonians worldwide. I am also very thankful to those talented photographers who are willing to allow their work to be published in our NikoniansPress books." Nikonians member Betty LaRue (B LaRue) took a unique position in the book, providing a chapter opening image of a Robin and a small logo enhancing image for the back cover. 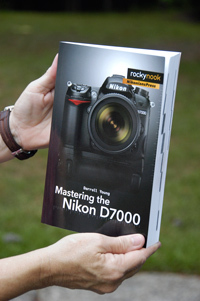 Mastering the Nikon D7000 has 12 chapters. We have 13 submitters, 12 in vertical and one in horizontal. The 12 verticals will be used as chapter separators. The one horizontal image by José A. S. Diniz (jadiniz) will be used as an example image in the HDR section. Final pre-press on this, the largest "Mastering" book Darrell has written (at over 490 pages) will be completed soon, and it should start shipping in late Spring-Early Summer. 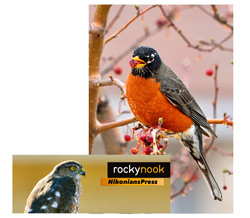 Rocky Nook will be sending each image donating Nikonian member a free copy of the book as a token of appreciation from the entire publication team. This is an excellent time to take advantage of preorders. Amazon currently has a preorder rate of $20.94 USD (saving you $14.01). 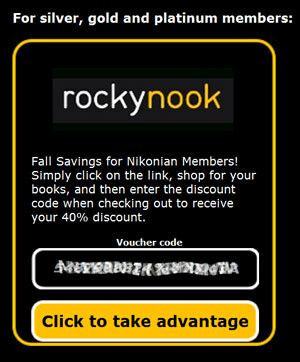 All books in the Rocky Nook/NikoniansPress series include a special Nikonians 50%-off voucher discount for a one year Gold Membership in the Nikonians community. This will save $37.50 on Gold Membership. Note: images from our members shown above are in random order and are not representative of the cropping used in final layout. The newest book in the NikoniansPress/Rocky Nook series, Mastering the Nikon D300/D300S by Darrell Young (DigitalDarrell) is now printed and shipping has started. Members of the NikoniansPress Team have received the first set of the new books and that means the entire first printing is simultaneously on the way to book retailers worldwide. This book is the result of a unique challenge faced by Darrell when the Nikon D300S was first introduced last summer. His previous Nikon D300 book was already a popular reference, but the D300S added new features that screamed for an update. The easy solution would be to grab all the previous material and just add bits and pieces to make room for the D300S additions, but Darrell had the benefit of carefully reviewing reader comments from his previous books and decided to address those concerns by completely re-designing and adjusting his newest work to satisfy as many reader's wishes as possible. The total re-write, re-edit project and re-design has produced a book twice as large, without adding to the final cost to consumers. Now, anyone who has purchased a Nikon D300 or the newer D300S will benefit from a book that was literally written "from scratch." More than 400 pages, step-by-step illustrations and detailed explanations through 12 chapters cover White Balance, the Histogram, the Multi-CAM 3500DX autofocus system, and how the Live View and D-Movie modes work. Camera accessories such as Speedlight flash and GPS units are also considered. As of Tuesday morning (November 2) Amazon.com was still showing the book at the pre-order price ($23.07 USD). That's an $11.88 USD savings from the list price. Your publishing partners, NikoniansPress and Rocky Nook have arranged for a special Nikonians Rewards discount on a wide variety of imaging-related books. We're already looking forward to the release of "Mastering the Nikon D300/D300S" by Nikonian Darrell Young (DigitalDarrell) and this special discount adds to your savings. 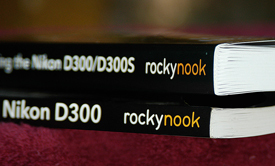 The new NikoniansPress/Rocky Nook book goes beyond detailing the additional features of the D300S and simply adding to Darrell's previously published "Mastering the Nikon D300." It has been completely re-written and re-edited to further improve and expand upon the pertaining information for the D300. All books in the NikoniansPress/Rocky Nook series include a special Nikonians 50%-off voucher discount for a one year Gold Membership in the Nikonians community. This will save $37.50 on Gold Membership. The book is expected to be available by the end of this month. By special agreement with our partner Rocky Nook, this and many more Rocky Nook books, including titles from the NikoniansPress series, will have a 40% discount over list price for all Silver, Gold or Platinum members from October 1st to December 31st, 2010. Please check your Loyal Membership Rewards page to obtain your discount code. The link provided will take you to the ordering pages for all the Rocky Nook books available at this 40% discount. Jason Odell (DrJay32), well-known partner of Rick Walker (walkerr) in the popular Nikonians Image Doctors podcast series, has released his newest eBook: The Photographer's Guide to Digital Landscapes. The Photographer's Guide to Digital Landscapes is divided into three sections, which discuss equipment, field techniques, and digital post-processing. "I wanted to create a reference guide to incorporate the skills I've learned in digital photography," said Dr. Odell. "Too many of the classic photography books claim to be updated for digital only to be completely devoid of any discussion of modern digital methods. 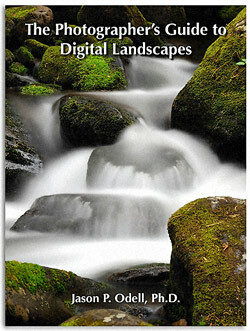 The Photographer's Guide to Digital Landscapes is available immediately from Luminescence of Nature Press. Are you confused by the multitude of shooting features available in your Nikon D3000? Do you want to truly master this sleek little Nikon's amazing bag of photographic imaging tricks? Your answers are neatly compiled in the latest book from NikoniansPress/Rocky Nook -- Mastering the D3000 by Darrell Young. The book has finished the printing phase and will be shipping next month. This is the ideal time to take advantage of pre-order pricing. Our editing and publication team has already received their copy and we have a shot showing the book has also included our special NikoniansPress/Rocky Nook arrangement to include a Gold Membership Discount Voucher near the back. All six books in the series include a special Nikonians 50%-off voucher discount for a one year Gold Membership in the Nikonians community. This will save $37.50 on Gold Membership. • The Nikon Creative Lighting System: Using the SB-600, SB-800, SB-900, and R1C1 flashes by Mike Hagen. • Mastering the D700 by Darrell Young and James Johnson. Mastering the Nikon D3000 by Darrell Young is a comprehensive guide for owners of this newest, budget-friendly generation of Nikon digital single-lens reflex (DSLR) cameras. The small, easy-to-carry D3000 is powerful in its ability to offer guided automatic camera operation with full manual capabilities when desired. Readers will be able to develop as photographers with the D3000--progressing from camera controlled automatic operation to user-managed manual control. However, this level of functionality requires some camera complexity. Darrell cuts through the camera's complexity with full explanations of every button, dial, switch, and menu on the camera with a friendly and advisory tone, like an old friend stopping by to discuss a favorite topic of mutual interest. He goes beyond just describing how the camera works by providing personal recommendations on how and when to use each function. Darrell understands that many owners of the D3000 may be just entering into the world of DSLR cameras and he takes time to guide them through some of the basics of photography. He covers how shutter speed and aperture works, depth-of-field, lens focal lengths, white balance, autofocus, image exposure, and the all-important digital histogram. The Christmas Holiday season will surely include many new owners of the Nikon D5000, and for those of you who have placed your pre-orders on the latest book from NikoniansPress/Rocky Nook -- Mastering the D5000 by Darrell Young, we have great news. The book has finished the printing phase and is now shipping. Our editing and publication team has already received their copy and we have a shot showing the book has also included our special NikoniansPress/Rocky Nook arrangement to include a Gold Membership Discount Voucher near the back. All five books in the series include a special Nikonians 50%-off voucher discount for a one year Gold Membership in the Nikonians community. This will save $37.50 on Gold Membership. This same special arrangement has been available for Nikonians members purchasing the previous books in the series. • The Nikon Creative Lighting System: Using the SB-600, SB-800, SB-900, and R1C1 flashes, by Mike Hagen. 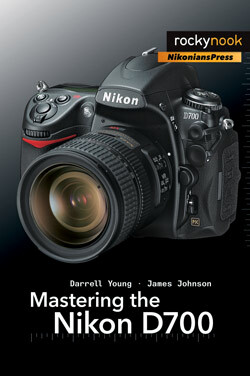 • Mastering the D700, by Darrell Young and James Johnson. Mastering the Nikon D5000, our fifth in a series of books in the joint venture between NikoniansPress and publisher Rocky Nook is now available for pre-order. And, the newest entry in the series, Mastering the Nikon D90, by Darrell Young, will soon be published (with special pre-order pricing now available). All five books include a special Nikonians 50%-off voucher discount for a one year Gold Membership in the Nikonians community. This will save you $37.50 USD. Here’s a sweet deal for Nikonians interested in sharpening their skills with the Nikon D700. The NikoniansPress book that will help you master this camera is being prepared for shipment and the current pre-order price at Amazon.com is currently only $26.37 USD. 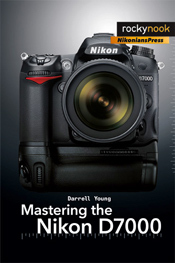 Mastering the Nikon D700, by Darrell Young and James Johnson is the third in a series of books in the joint venture between NikoniansPress and publisher Rocky Nook. Our members are already enjoying their copies of Mastering the Nikon D300 by Darrell Young and The Nikon Creative Lighting System: Using the SB-600, SB-800, SB-900, and R1C1 flashes by Mike Hagen. All three books include a special Nikonians 50%-off voucher discount for a one year Gold Membership in the Nikonians community. This will save you $37.50. According to a preview copy of the publisher’s notes made available to our staff from Rocky Nook, the D700 book "Is the end-product of a unique collaboration between the author of our previous and highly successful Mastering the Nikon D300 by Darrell Young and copy editor James Johnson. Following publication, Rocky Nook has received sterling reviews for its depth of content, breadth of coverage, and warmth of delivery." Mastering the Nikon D700 features full page Chapter Opening images taken with the camera by fellow Nikonians and as the project went off to press we’re told the images chosen for the book include those provided by Nikonians Sylvain Duford (Sduford), Josh Harris (DrRoebuck), Mark Rainer (mrainer), Tom Trujillo (tjtrujillo), Michael Alan Bielat (MichaelAlan) and Charles Penner (rolledmymazda). Nikonians on a Silver, Gold or Platinum membership save 20% when they are buying Jason Odell's ultimate guide to Nikon Capture NX2. The guide is an eBook and you find the voucher code to this and other items in your user menu. If you buy any of the Nikonians Press books (right now the Mastering the D300 is out) you save $37.50 (€37.50 in Europe) on a Nikonians Gold Membership. Just use the voucher contained in the book. if you buy our Mastering the Nikon D300 book, you save 50% on a Nikonians Gold Membership. Yup, it's that easy - Just use the voucher in the book. The Nikon School has published two DVD offerings aimed at educating newly-minted Digital SLR owners in maximizing the use of their cameras. Preview trailers can be viewed online. Both DVDs feature award-winning travel photgrapher Bob Krist, as he leads viewers in simple and easy-to-understand steps on how to get the most out of their equipment and make better photos. The first DVD, "Fast, Fun & Easy: Great Digital Pictures," is aimed at new Nikon D40 and D40X owners and will get them up and running with their cameras in 35 minutes. 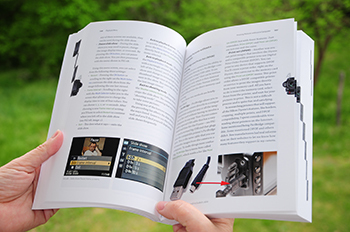 The second DVD, "Understanding Digital Photography," is aimed at providing guidance for any digital SLR owner interested in moving beyond automatic settings. Nikon D40, D40X, D80 and D200 owners will particulary benefit, since those models are used throughout the film. Our very own Jason ODell has published his first eBook, The Photographer's Guide to Capture NX. The tutorial system is workflow-based, which takes a very practical approach from setting up your camera to the final print. Easy to read and packed with intimate knowledge of Nikon's RAW editor, the eBook is a must-get for any Nikonian! Thom Hogan's much awaited guide to the Nikon D200 is now on a pre-order basis, with his website indicating shipping at the end of April. Sebastopol, CA The quality and features in today's digital cameras are inspiring consumers to become more creative with their photography and photo editing. Trying to achieve the envisioned result can be a frustrating experience, especially when the software and manual are not up to the task. Photoshop Elements 4 - the most popular image editing application for Windows-based PCs - will multiply your options, and using "Photoshop Elements 4 One-on-One" (McClelland, O'Reilly, $34.95 US) will turn the learning curve into a speedway. Digital photographers - amateur and experienced alike - will easily and quickly learn to edit and produce shots with extraordinary results. Designed for beginning and intermediate users, each of the lessons includes tips and techniques that even the most experienced users will appreciate. 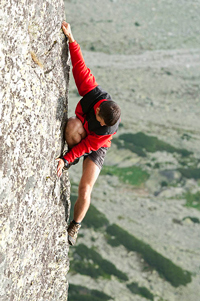 Each lesson has three to seven step-by-step exercises, and all sample files required to do the exercises are included on the DVD. Prolific author, lecturer, and expert Deke McClelland is well-known in the world of computer graphics and design. He serves as host on the interactive "Best of Photoshop" CD that ships with the program, and he has written more than eighty titles (including "Photoshop Bible" and "Photoshop for Dummies"), with three million copies in print. In addition to being an Adobe Certified Expert, he is a member of the Photoshop World Instructor Dream Team, a contributing editor for Macworld and Photoshop User, and a 2002 inductee into the National Association of Photoshop Professionals' Photoshop Hall of Fame. Peter Bauer, author of Photoshop CS2 for Dummies, applauds this multimedia guide, saying, "Whether you're brand new to Elements, or are transitioning from an earlier version, here's your key to learning Elements 4. Page for page, dollar for dollar, I can't think of a better way to learn Elements than 'one-on-one' with Deke McClelland." "Photoshop Elements 4 One-on-One" is designed to function as an integrated training environment for the tool McClelland calls "the most phenomenal bargain in the history of digital imaging - a consumer-level program for folks with professional-quality aspirations." SAN FRANCISCO (BUSINESS WIRE) Nov. 28, 2005 IDG's Macworld, the premier Macintosh magazine and Web site, introduced a new method of delivery for its award-winning content with the announcement of "The Macworld Digital Photography Superguide." This electronic-only book (e-book) will guide readers through every step of the photography process from buying the right camera to capturing the perfect shot to organizing, editing, and printing photos. The e-book is available online now for $12.95 at https://macworld.com/0996. At more than 100 pages in length, Macworld's first e-book takes advantage of the magazine's leadership in helping Mac users understand one of the most popular topics in the computer market today. "For more than a year our readers have been asking for more information about digital photography," said Jason Snell, Macworld's Editorial Director. "We've answered those requests with numerous feature stories, reviews, and even a dedicated Digital Photo column in the magazine every month. It only made sense to take everything we've learned about digital photography and make it available in one place." The Macworld Digital Photography Superguide was edited by Macworld Senior Editor Kelly Turner, who compiled the best of Macworld's digital photography coverage over the past few years and turned to an all-star group of Macworld contributors to update, enhance, and expand the information into a timely, up-to-date compendium. Among the book's contributors are noted authors Bruce Fraser, Jim Heid, Christopher Breen, Derrick Story, Dan Frakes, Rob Griffiths, Ben Willmore, and Joe Kissell. "By taking advantage of the medium of electronic books, we can deliver high-quality content that's up-to-date, at a reasonable price, to as many people as possible," Snell said. "This medium lets Macworld combine its expertise as a magazine publisher with the advantages of the Internet to present our excellent editorial content in a focused way." In the future, Macworld plans on releasing several other e-books on various topics of interest to the technology community. Macworld e-books are provided as standard PDF format downloads which can be read using the Preview application built into Mac OS X, as well as with the free Adobe Reader application. People who would prefer a print version of the book can order one for an additional fee through a third-party print-on-demand service. Mac Publishing, LLC publishes the world's leading independent Macintosh publication and Web sites. Every month the award-winning Macworld magazine reaches 1.2 million Macintosh professionals and enthusiasts while the Mac Publishing Web presence garners an average of over 1.6 million unique visitors. The Mac Publishing sites include: Macworld.com, MacworldProductFinder.com, PlaylistMag.com, MacOSXHints.com, and JavaWorld.com. More information on Mac Publishing, LLC and IDG can be found on the Internet at www.macworld.com and www.idg.com. Sebastopol, CA Every time you shoot, scan, or store a photograph, you are involved with DAM or digital asset management, which includes every part of the process that follows the taking of the picture through final output and permanent storage. However, most photographers, whether amateurs capturing a vacation, or professionals earning a living, don't really know the best way to systematically and efficiently manage workflow for their photography. 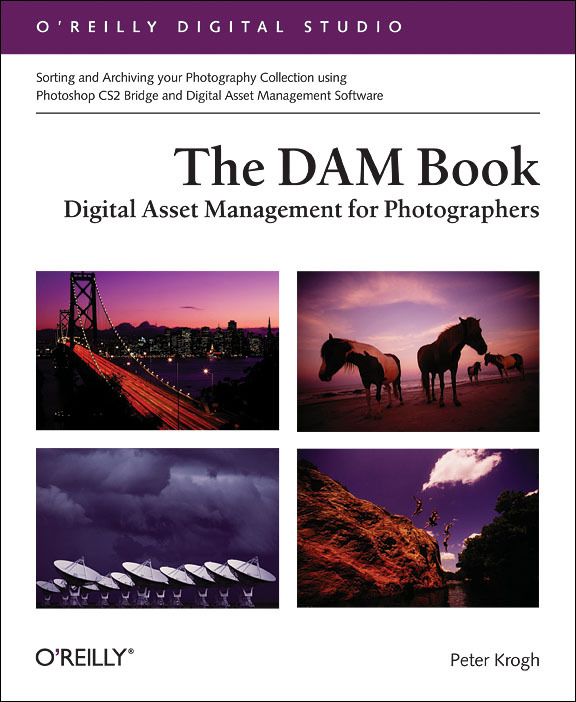 A professional photographer for twenty years, author Peter Krogh explains the whole DAM system in "The DAM Book: Digital Asset Management for Photographers" (O'Reilly, US $34.95). He cuts the often overwhelming task of managing digital photos down to manageable size with a solid plan, practical advice, and a workable system for filing, finding, protecting, and re-using photographs. Having contributed to the development and testing of Adobe Photoshop CS2, Adobe Bridge, and the DNG Raw format, Krogh is uniquely suited to guide you through their use. He designed the book "for anyone who is serious about his or her photographs," promising that, "once you understand the concepts that are described here, working with your digital photographs will be simpler, more straightforward, and more secure than you can probably imagine now." Adobe Systems Senior Creative Director Russell Preston Brown agrees, saying, "When I want to look good in front of a demanding crowd of photographers, I never hesitate to steal from this book. Peter Krogh definitely knows what he's talking about." 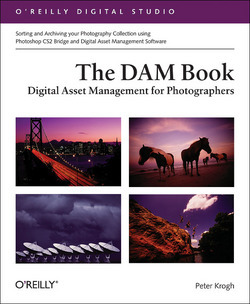 Part of O'Reilly's Digital Studio series, "The DAM Book" will cut down on the time you spend searching your hard drive and file cabinet for a particular image. With the DAM system, you'll be able to assign and track the data content on your photos. And, if you're a professional, the DAM system will assure that your images bear your copyright and contact information, so there will be no more photos circulating in the marketplace unprotected. Professional or dedicated amateurs alike, will wonder how they survived without it.